Listen to me, Elsa. Your power will only become stronger. There is beauty in him but also a lot of danger. You must learn to control it. Dfree download this Welcome poster Frozen party. Special for birthday, candy bar, etc. In high quality, ready to print. From the 2013 that Disney dazzled millions of girls around the world with this film, and still a day are still preferred when choosing a theme for a party. Although in Spain the full title is "Frozen: El reino del hielo", In Latin America they put"Frozen: A frozen adventure" For the invitation to serve both sites, we have omitted the use of any of the titles, and it is not necessary, the image of all the characters speaks for itself. See the preview here, but OJO, this is not the high quality version. I recommend you to continue until the end to download free, the high quality version of the poster Welcome frozen party. In addition, their soundtrack has been one of the most desired by the children of the house, who spend their days singing them. 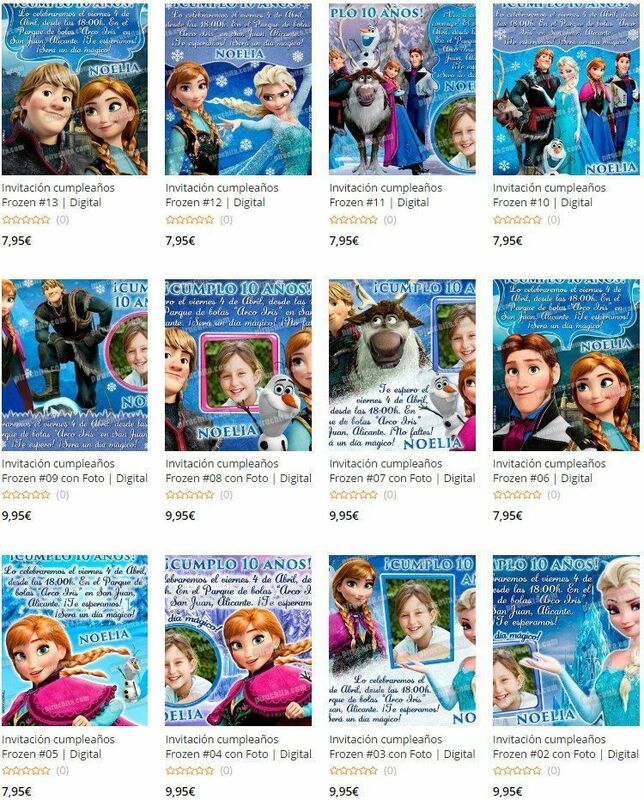 If you are looking for a gift from Frozen, I recommend that you go through one of the many online shops They have an infinity of products related to this movie, all thanks to the large number of fans that it has. Did you know that we also offer you PERSONALIZED PREMIUM versions of Frozen Birthday Invitations? You can ask us to personalize the invitations with the birthday information so that they are perfect! Are you looking for Frozen gifts for birthdays?